I AM ORION is a Future Documentary Sandbox project funded by the REACT Knowledge Exchange Hub for the Creative Economy. 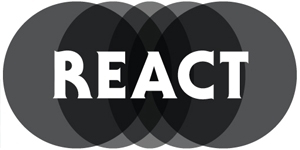 REACT is a collaboration led by UWE Bristol (the University of the West of England), Watershed and the Universities of Bath, Bristol, Cardiff and Exeter, funded by the Arts and Humanities Research Council (AHRC). ORION tells the story of Jimmy Ellis, an unknown singer thrust into the spotlight with a fictional identity and a mask, as part of a crazy scheme to masquerade him as Elvis back from the grave. I AM ORION is a wraparound project, that harnesses web technologies to explore mystery, tribute, identity and fandom. Developing new forms of audience and fan engagement, I AM ORION is gathering memories and eliciting participation in the telling and sharing of this rich and fascinating story.